The happy marriage of Martin and Stevie Gray is threatened by Martin’s affair with a goat named Sylvia. From left to right: Matt Weimer as Martin and Hillary Hesse as Stevie. (Sylvia is not pictured.) Photo Credit: Jay Yamada. Director Paul Stout has crafted a masterful rendition of this Tony Award winning play by Edward Albee. Martin and Stevie Gray (played by Matt Weimer and Hillary Hesse) have a delightful marriage. Martin, about to turn 50, has just received the Pritzker Prize for architecture. Stevie is relaxed in the marriage and having a good time with her husband and their gay son, Billy (Max Seijas). Albee sets the stage for disaster, of course, and the shocking truth comes out during an interview between Martin and photo journalist Ross Tuttle (Ryan Hayes). While talking though his life history, Martin is forced to let the cat out of the bag. He is emotionally and physically involved with a goat named Sylvia. There’s nothing Platonic about it. Naturally, we know how some journalists just can’t keep a secret, and in no time at all, the whole family is aware of Martin’s obsession. The resulting confrontations start out mildly, like heady family discussions of the dog drinking out of the toilet. But the tension slowly rises with the realization that it’s true: Martin is doing it with a goat. Weimer is excellent as he explains his heart-felt desire for the beast, rationally describing their courtship. Son Billy is mortified. Wife Stevie simmers quietly as the injured party might in any case of adultery, but fully realizing it is a goat that has seduced her husband, she literally jumps into the fray with both feet. The confrontations build, and Albee’s famous playfulness with language makes for some great lines. When Martin insists he can stop, Stevie responds, “Stopping has nothing to do with having started.” When she goes on to insist she is very different from a goat, she adds that she “only gives milk on special occasions!” Billy, the gay son, cannot understand his father’s indiscretions, noting that “at least what I do is with people.” Albee offers a total blowout of traditional norms. It is hilarious and cathartic at the same time. Further developments are full of surprises, right up to the ending. 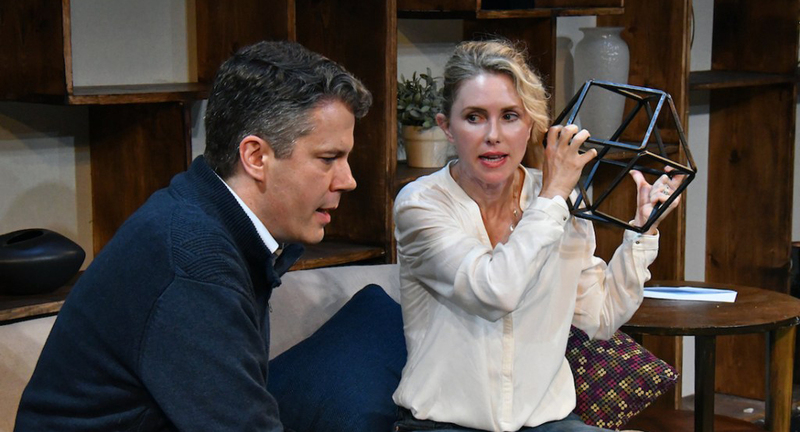 Custom Made Theatre’s emotionally strong production seems to be exactly what Albee might have anticipated in the writing. The play and the actors hold nothing back. I can only say a hearty “Congratullations!” to the entire company. 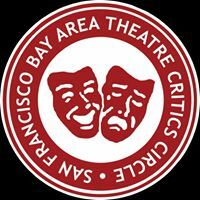 “The Goat, or Who Is Sylvia” continues at the Custom Made Theatre Company in San Francisco through October 20, 2018. For further information click here. “The Goat, or Who is Sylvia?,” by Edward Albee, produced by Custom Made Theatre Company. Director: Paul Stout. Scenic Designer: Sarah Phykitt. Costume Designer: Lindsey Eifert. Sound Designer: Laurence Tasse. Lighting Designer: Christopher Lundhal. Fight Choreographer: Jon Bailey. Cast: Matt Weimer: Martin Gray. Hilary Hesse: Stevie Gray. Ryan Hayes: Ross Tuttle. Max Seijas: Billy Gray.